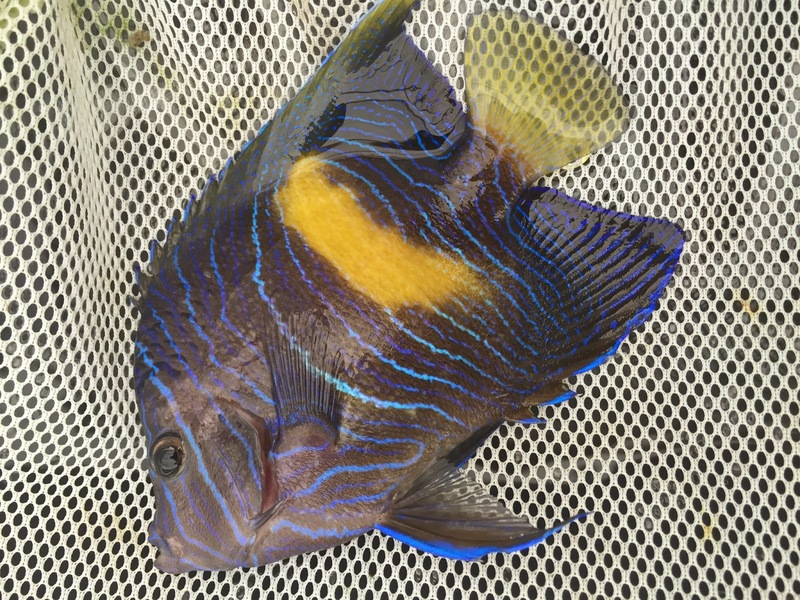 One of our first Rising Tide successes was harvesting eggs from Columbus Zoo and Aquarium (CZA), shipping them to UF’s Tropical Aquaculture Lab, and successfully raising what turned out to be semicircle angelfish. We had samples from that first cohort DNA analyzed for identification. We have since raised multiple cohorts shipped to us from CZA; which has been well documented in previous blog posts (late 2011-early 2012). Ramon Villaverde at CZA has also raised multiple cohorts of angelfish in house. 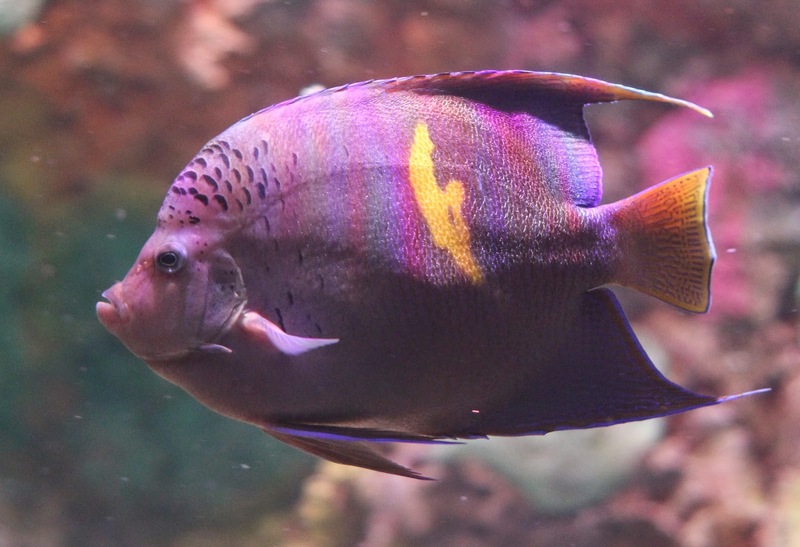 When space got limited we arranged for those juvenile angelfish to be sent to public aquariums which not only had adequate space to house them, but also could effectively inform the public about Rising Tide’s endeavors. We were always curious what other Pomancanthus species (if any) may be spawning in that exhibit. 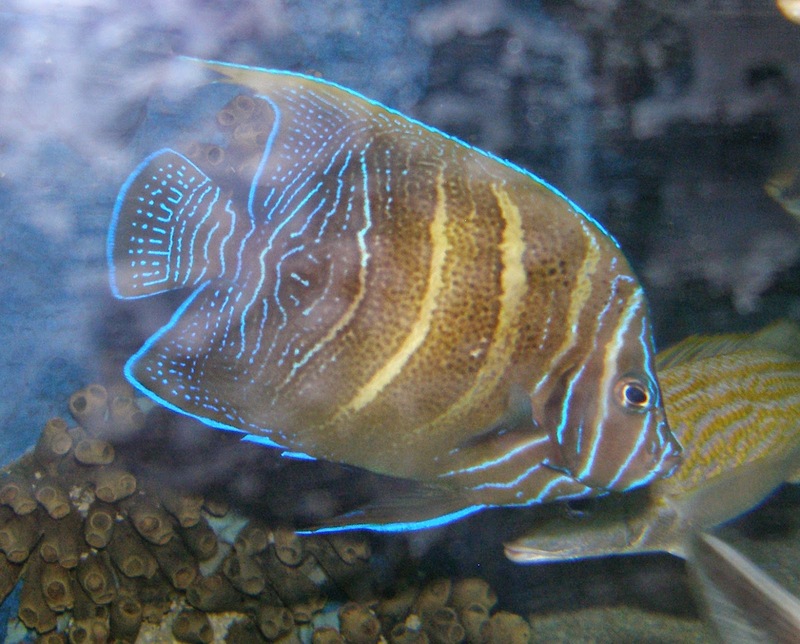 During that time CZA housed two Pomacanthus semicirculatus, two P. annularis, one P. asfur, one P. imperator, two P. maculosus, and two P. xanthometapon in their Discovery Reef exhibit. 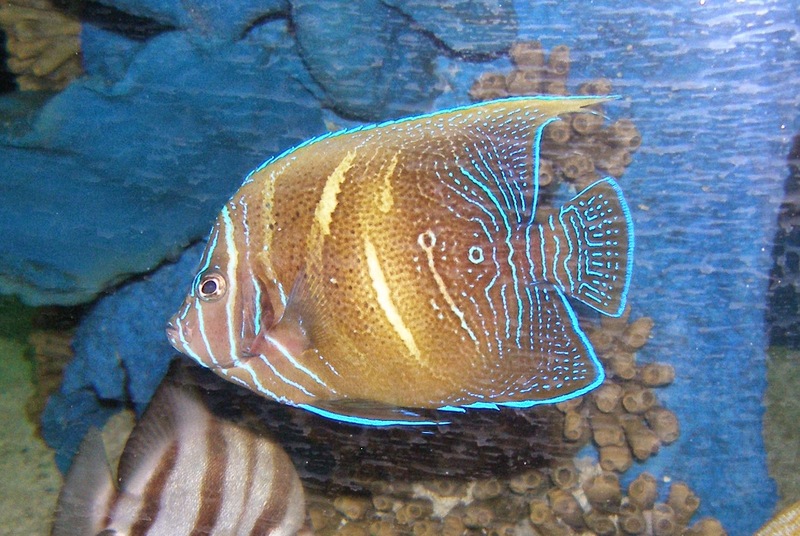 We have kept some angelfish from those previous spawns and although we definitely have some semicircle angelfish, we also have angelfish displaying coloration not indicative of that species. Below you will find a series of photographs of angelfish on display in public aquariums as well as some from our own facility. Tell us what you think? Figure 1. Angelfish (2-3 years old) on display at Columbus Zoo and Aquarium. Photo credit: Ramon Villaverde. Figure 2. 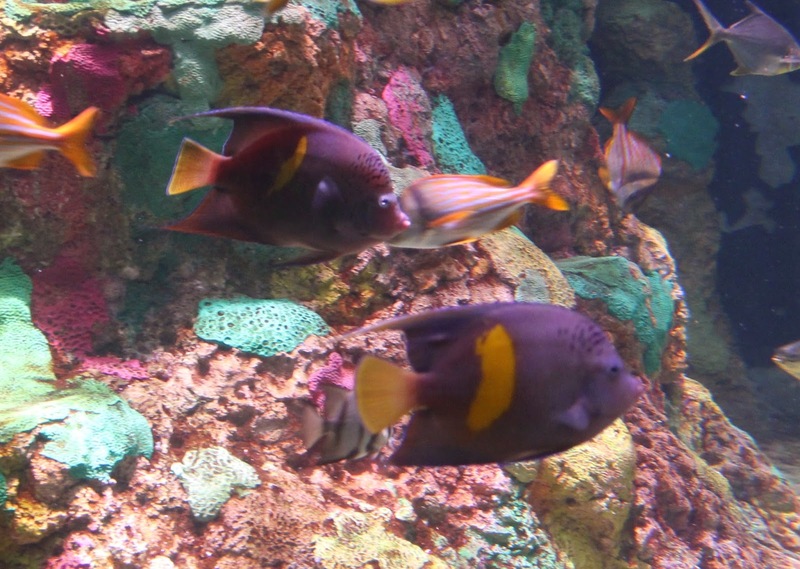 Two angelfish (2-3 years old) on display at SeaWorld Orlando. Photo credit: Joe Moynihan. Figure 3. Angelfish (2-3 years old) on display at SeaWorld Orlando. Photo credit: Joe Moynihan. Figure 4. Angelfish (~2 years old) on display at SeaWorld San Antonio. Figure 4 and 5 are the same fish. Photo credit: Nick Ireland. Figure 5. Angelfish (~2 years old) on display at SeaWorld San Antonio. Figure 4 and 5 are the same fish. Photo credit: Nick Ireland. Figure 6. 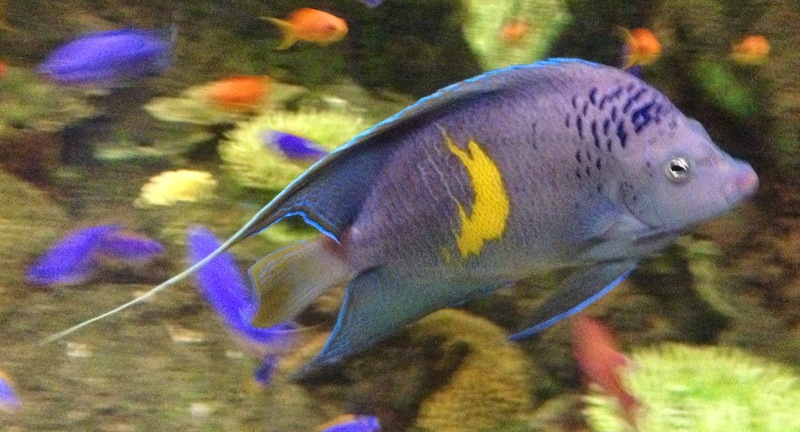 Angelfish (~1.5 years old) kept at UF’s Tropical Aquaculture Lab. Photo credit: Kevin Barden. Figure 7. Angelfish (~3 years old) kept at UF’s Tropical Aquaculture Lab. Photo credit: Kevin Barden. 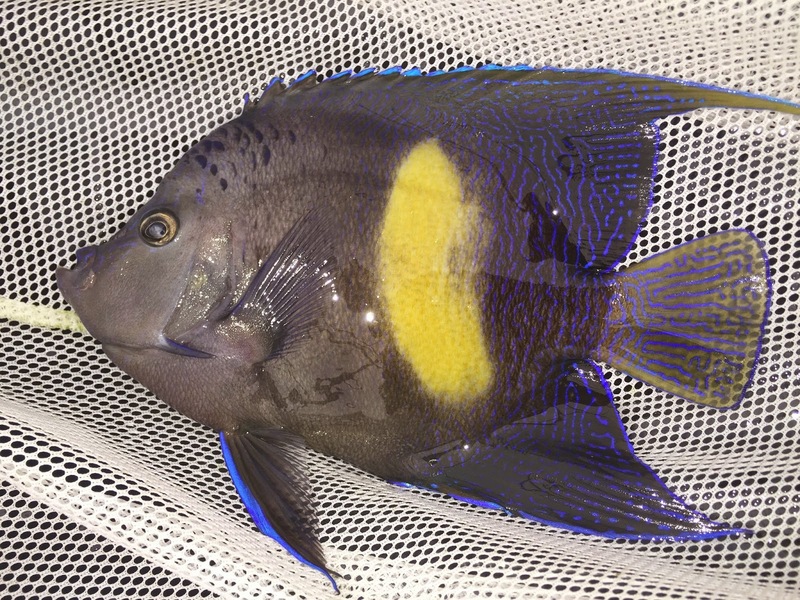 Editor’s Note – be sure to head over to the Rising Tide Blog and tell them what you think their surprise angelfish are!